This church building began as a school. In March 1889 Eagle County School District No. 4 voted a $2,000 bond to erect a school building. An acre of ground was acquired from a Mr. Edwards who had first platted the town. The school was built by Monte Montgomery and finished in June 1890. 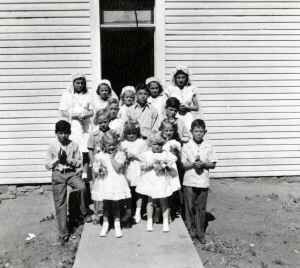 As the population of Eagle and the surrounding area grew, the school population quickly outgrew the building. The primary grades were moved to a rented house across Capital Street. 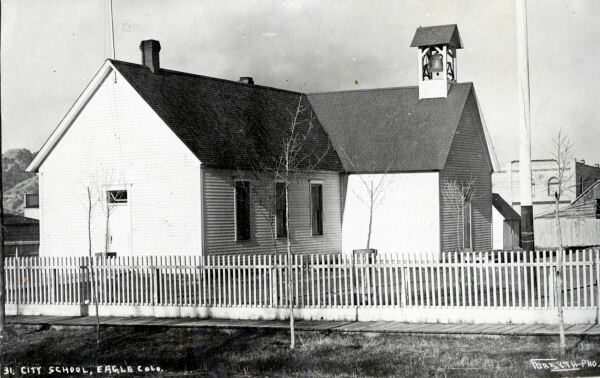 The school building was then remodeled and enlarged into two rooms in 1901.his church building began as a school. In March 1889 Eagle County School District No. 4 voted a $2,000 bond to erect a school building. An acre of ground was acquired from a Mr. Edwards who had first platted the town. The school was built by Monte Montgomery and finished in June 1890. 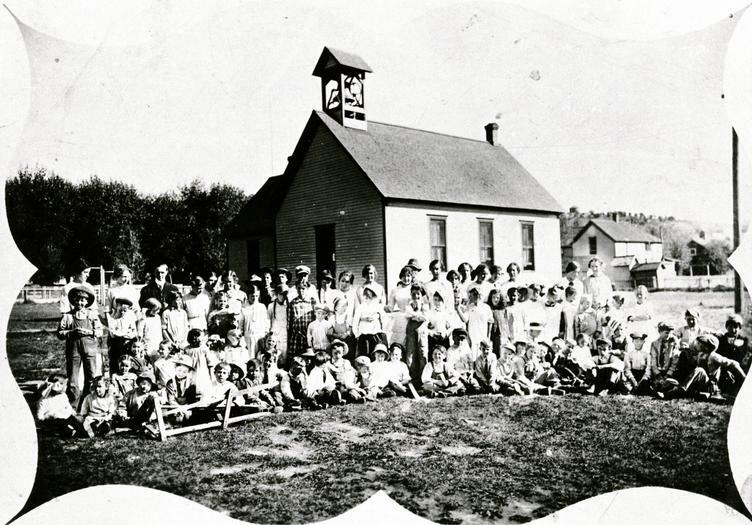 As the population of Eagle and the surrounding area grew, the school population quickly outgrew the building. The primary grades were moved to a rented house across Capital Street. The school building was then remodeled and enlarged into two rooms in 1901. The bell tower was erected while the building was still a school. When the bell arrived in 1902 a plea was published in the local newspaper seeking help to install the bell into the belfry. That original school bell is still in the belfry. As the area’s population continued to grow the school building once again was at its limits. In 1913 the school was again using a rented house to deal with the overflow. By this time the school district had decided to seek a new location. A new school location was found and a new school building was constructed and opened at Broadway and Sixth Streets in 1914. In 1915 the Catholic Church purchased the property and remodeled the building for church purposes. It has been remodeled and enlarged a number of times since to arrive at the current configuration. 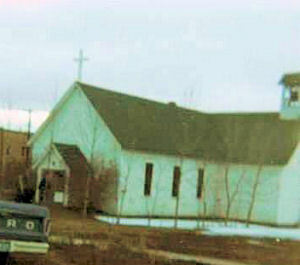 In 1945 the town’s library was moved to St. Mary’s Church. That library was closed in 1960 and the books were placed in storage. The library was later moved to the Community House (which later became the Old Town Hall) on Second Street. In 1992 St. Mary’s church started the preschool that is located to the north of the church, on Second Street. The preschool has operated continuously at this location since.